Korean automaker announced the release of the Russian market of their most expensive flagship luxury. Home sales Kia Quoris in Russia is scheduled for the first quarter of 2013. The new flagship of the harmonically united all the qualities essential for a modern luxury car: elegant unique design, excellent driving performance and impeccable level of comfort and safety, the company said. Russian premiere of the new flagship KIA held at the Moscow International Motor Show in August. 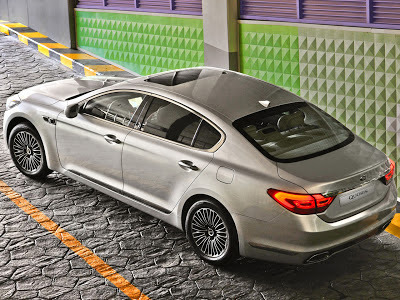 KIA Quoris built on the platform model Hyundai Equus, and is likely to be at a similar program of promotion, when the car will offer outstanding figures and stars of sport and show business. 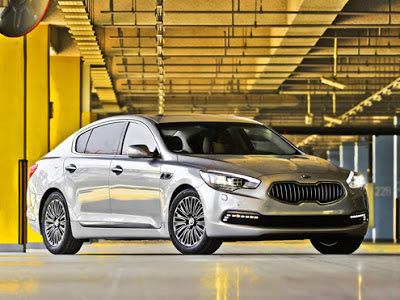 In this flagship Kia looks sportier and more dynamic of his brother. The car is equipped with a 3.8 engine capacity of 290 liters. with. Air suspension available for the sedan, the multilayer insulation cabin ventilation and heating of the seats, entertainment system Lexicon c 17 speakers and monitors for rear seat passengers, intelligent cruise control, adaptive LED headlights with high and light, and the audio-visual and tactile signal functions . With this driver will be notified of the possible danger. Meanwhile, around the new items is a scandal. Chinese company Qoros a court banned the use of the name Kia models Quoris in Western Europe, says the publication Autocar. Chinese manufacturer so wishes to protect its own brand name, which, in his opinion, too consonant with the name of the flagship export KIA, known in South Korea as the K9. 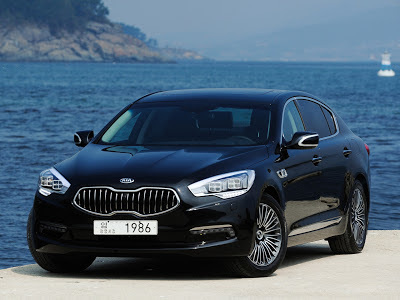 The representatives of the South Korean brand said that sales of the model Quoris in the European Union are not included in the plans of KIA. Qoros company was founded in 2007 under the cooperation of Chinese automaker Chery and Israeli holding company Israel Corporation. The new company expects to produce for the Europeans 'quality' cars that meet all the requirements for safety and reliability. For this purpose, have been hired former designers and engineers of BMW and Volkswagen. Its first model Qoros show in March next year at the Motor Show in Geneva.